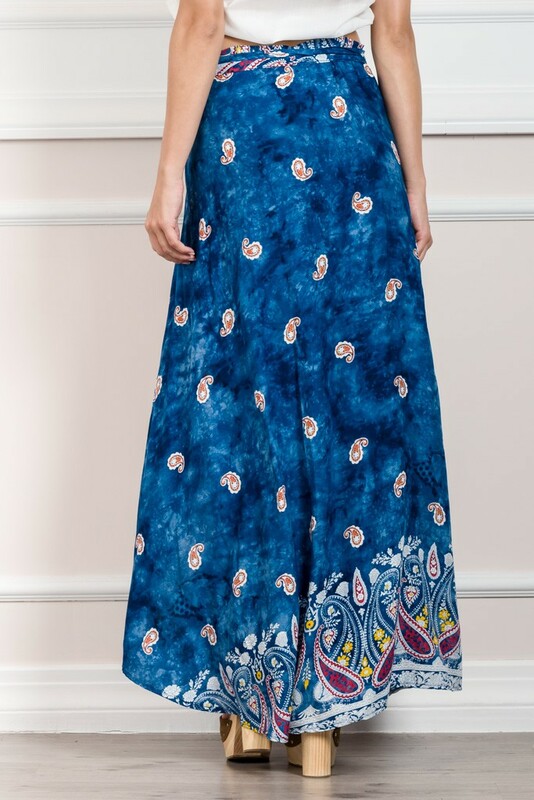 Spread bohemian vibes with this fashionable maxi skirt. crafted from lightweight printed material with wrap front design and plunge side slit. Put an extra-special spin with signature accessories and you will definitely make a statement.